Learn how to improve the security posture of your organization and defend against some of the most pervasive network attacks. 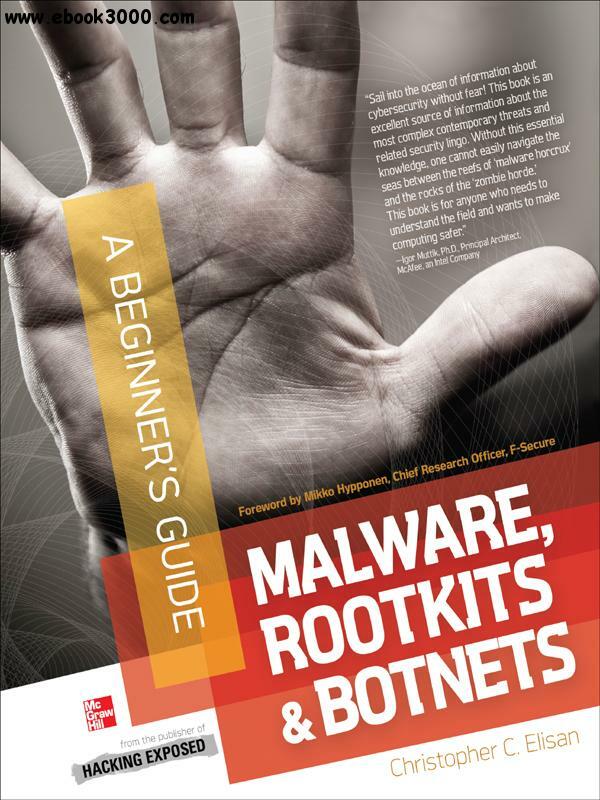 Malware, Rootkits & Botnets: A Beginner's Guide explains the nature, sophistication, and danger of these risks and offers best practices for thwarting them. After reviewing the current threat landscape, the book describes the entire threat lifecycle, explaining how cybercriminals create, deploy, and manage the malware, rootkits, and botnets under their control. You'll learn proven techniques for identifying and mitigating these malicious attacks. Templates, checklists, and examples give you the hands-on help you need to get started protecting your network right away.